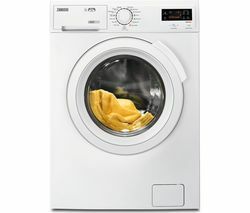 Make your laundry days a whole lot easier with a Zanussi washer dryer. Ideal for big and small households, our Zanussi washer dryers will allow you to wash and clean your laundry quickly and efficiently. Offering a whole host of easy to use programmes that can be adapted to meet your specific laundry needs, including specialist programmes for delicates, lightly soiled clothes, and even your jeans. 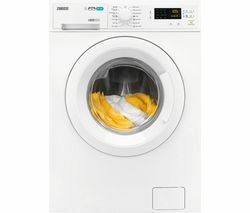 Armed with a wash load capacity of up to eight kilograms and a drying load capacity of up to six kilograms, our Zanussi washer dryers will help you to make light work of your washing pile, especially if you have a big family. Designed to optimise all aspects of the washing and drying process, most of the Zanussi washer dryers in our range come complete with an Easy Iron Program, which has been expertly developed to reduce the amount of ironing you’ll have to do once your clothes have dried. And, when it comes to using your Zanussi Washer Dryer, you will be pleased to hear that it is super easy to use, making your laundry days a breeze! This is because all Zanussi models feature an innovative LCD display that will allow you to enjoy the clearest update on your laundry. Check out our full range of washer dryers, including all the latest Samsung, Bosch, Beko, Hotpoint, and AEG washer dryers.